Trust companies in Wyoming have to meet new requirements in order to operate legally in the state. 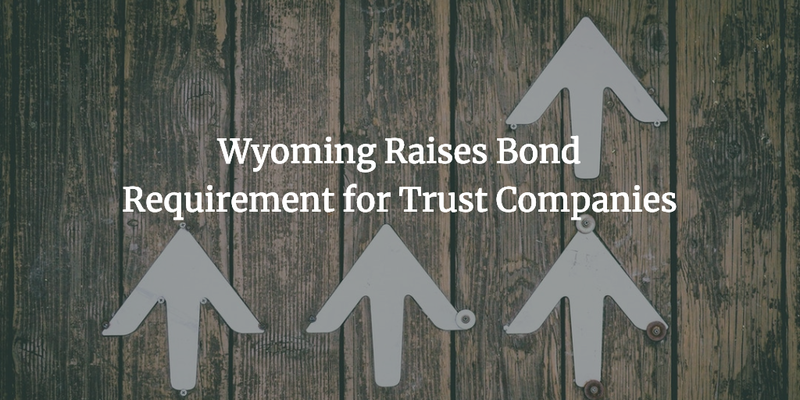 Wyoming House Bill 30 increases the security instrument that trust companies have to provide, either in the form of a surety bond or as an irrevocable pledge of their capital. The new law also introduces changes to how trust companies can advertise and how they can execute financial transactions. 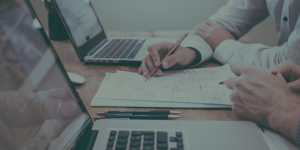 You can find out the most important details that you should be aware of in order to run your trust company in Wyoming in legal compliance. With House Bill 30, supervised trust companies in Wyoming have to meet a tenfold increase in the security requirement imposed by the state Division of Banking. Previously, the minimum amount was set at $100,000. With the new amendment, trust companies have to post a minimum of a $1,000,000 surety bond, or irrevocably pledge their capital account to the state Banking Commissioner. You can access the official bond form and the capital pledge form. The purpose of the required security instrument is to provide additional safety for the state authorities in charge. In the case that the trust company is put into receivership or liquidation, if the company becomes unsafe, the bond or capital pledge can be used to reimburse the costs that the Commissioner has incurred as a result. By increasing the bond amount, the state raises the compensation that can be sought if a trust company faces such issues. The change is significant, and it’s important for businesses to know how the bonding process works and how you can lower your bond cost to counteract the effect of the new requirements. The bonding requirement is a typical criterion that many types of businesses across the U.S. have to meet. The bond for trust companies functions as a guarantee that the bonded party will follow the law and will make any due payments to the state. Getting your trust company bonded does not entail covering the required surety bond amount. This is an important consideration, considering the tenfold increase. In order to obtain the bond, you have to cover a percentage of it, which is referred to as the bond premium. It is formulated by assessing the strength of your finances. Applicants with solid profiles typically get rates in the range of 1% to 5%. Thus, for the new bond requirement of $1,000,000, you may need to pay about $10,000 to $50,000 if your finances are in good shape. Nevertheless, this is a significant spike from the previous amount of $100,000, where the lowest bond premiums were in the range of $1,000 to $5,000 for applicants with solid stats. Thus, it’s important to make sure your overall business and personal finances are in the best possible state when you apply for the new bond amount. The stronger they are, the lower the bond percentage you will be assigned. Have more questions about the surety bond increase for trust companies in Wyoming? Feel free to contact our bonding specialists at 877.514.5146.